This year’s second volume of Shueisha’s Shonen Jump NEXT!! magazine has revealed that the next Konoha Shinden (Konoha New Legend) will be covering Kakashi, this was revealed on Monday. This novel will cover Kakashi, Guy and Mirai (daughter of Asuma and Kurenai). The story itself will take place at a hot spring, which will also tie together with Naruto and Boruto too, it will be set between the final chapter of the Naruto original manga and the spin-off manga: Naruto: The Seventh Hokage and the Scarlet Spring. You may have already known that Masashi Kishimoto, creator of Naruto, has been releasing a lot of novels, in particular, the Hiden (Hidden Legend) series where we focus on particular characters such as Kakashi, Shikamaru, Gaara, Sakura, The Akatsuki and many more. 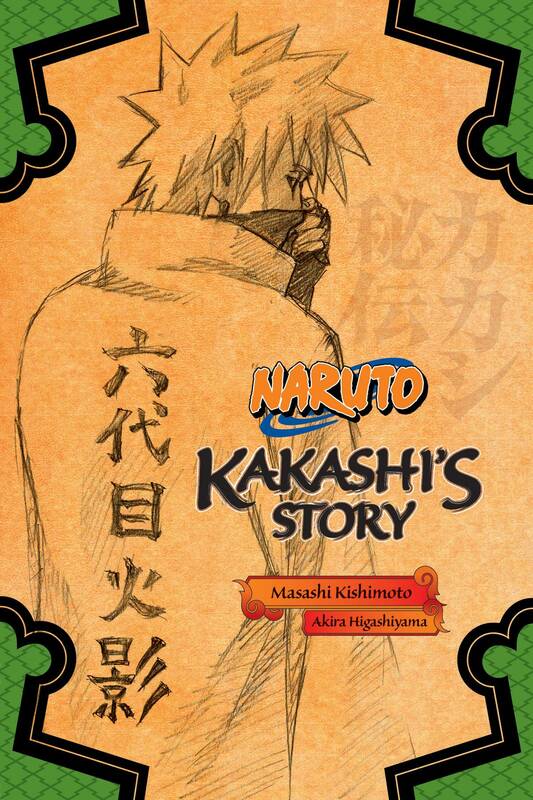 Viz Media also published a little something, called the Kakashi Story (picture) too. While in Shinden (True Legend), we see other character, in particular we’ve recently seen the Itachi Shinden novels, which have inspired an arc in the Naruto Shippuden TVanime. There is also a Sasuke Shinden, and another called Naruto: Dojunjo Ninden (Naruto: The Tale of the Utterly Pure-hearted Shinobi) novel too. All of these are great, I’m hoping someone could potentially get them online and translated for every one to read. Nevertheless, if you are a collector, these are a must because they seem like they’ll be a lot of fun. Anyway, what do you think? Go ahead and comment down below telling us how you feel about them. I already read the novel . And it’s a very good lecture for Kakashi’s fans . Really! is there an online copy I can read somewhere? I’ll definitely check this one out when it comes to America. I currently own the first Kakashi one and the Shikamaru novel, but I haven’t had time to read either one yet. At least the longer I put it off, the bigger the marathon will be. Is the Kakashi one where he shows his face? Not that I’m aware of. I barely even know the plot though, I believe it’s mostly just for world building and there’s not much action in it either.